In an interesting move, VMware has released public KB 2149630 on September 29th, providing information on how to access the root shell of the NSX Manager appliance. If you’ve been on an NSX support call with VMware dealing with a complex issue, you may have seen your support engineer drop into a special shell called ‘Engineering Mode’. This is sometimes also referred to as ‘Tech Support Mode’. Regardless of the name used, this is basically a root bash shell on the underlying Linux based appliance. From here, system configuration files and scripts as well as most normal Linux functions can be accessed. Normally, when you open a console or SSH session to NSX manager, you are dropped into a restricted ‘admin’ shell with a hierarchical system of commands like Cisco’s IOS. For the majority of what an administrator needs to do, this is sufficient. It’s only in more complex cases – especially when dealing with issues in the Postgres DB – or issues with the underling OS that this may be required. VMware recommends to take full backup of the system before performing any changes after logging into the Tech Support Mode. Although it is very useful to take a ‘read only’ view at some things in the root shell, making any changes is not supported without getting direct assistance from VMware support. A few people have asked whether or not making the root shell password public is a security issue, but the important point to remember is that you cannot even get to a position where you can enter the shell unless you are already logged in as an NSX enterprise administrator level account. For example, the built-in ‘admin’ account. For anyone concerned about this, VMware does allow the root password to be changed. It’s just critical that this password not be lost in case VMware support requires access to the root shell for troubleshooting purposes. More information on this can be found in KB 2149630. To be honest, I’m a bit torn on this development. As someone who does backline support, I know what kind of damage that can be done from the root shell – even with the best intentions. But at the same time, I see this as empowering. It gives customers additional tools to troubleshoot and it also provides some transparency into how NSX Manager works rather than shielding it behind a restricted shell. I think that overall, the benefits outweigh the risks and this was a positive move for VMware. When I think back to VI 3.5 and vSphere 4.0 when ESXi was shiny and new, VMware initially took a similar stance. You had to go so far as to type ‘UNSUPPORTED’ into the console to access a shell. Today, everyone has unrestricted root access to the hypervisor. The same holds true for the vCenter appliance – the potential for destruction is no different. I’d welcome any comments or thoughts. Please share them below! I’ve had this question come up a lot lately and there seems to be some confusion around whether or not NSX controllers need to be redeployed after upgrading them. The short answer to this question is really “it depends”. There are actually three different scenarios where you may want or need to delete and re-deploy NSX controllers as part of the upgrade process. Today, I’ll walk through these situations and the proper process to delete and re-deploy your controller nodes. Upgrading the NSX Control Cluster is a very straight-forward process. After clicking the upgrade link, an automated process begins to upgrade the controller code, and reboot each cluster member sequentially. Once the ‘Upgrade Available’ link is clicked, you’ll see each of the three controllers download the upgrade bundle, upgrade and then reboot before NSX moves on to the next one. Once NSX goes through its paces, it’s usually a good idea to ensure that the control-cluster join status is ‘Join complete’ and that all three controllers agree on the Cluster UUID. Because the underling structure of the VM itself doesn’t change, this sort of in-place code upgrade and reboot is sufficient and has minimal impact. The first scenario where you may want to redeploy the controllers involves a virtual hardware change that was introduced in NSX 6.1.5. NSX controllers deployed in 6.1.5 use the VMXNET3 vNIC adapter, whereas older versions had legacy Intel E1000 emulated vNICs. This change wasn’t well publicized and surprisingly it isn’t even found in the NSX 6.1.5 release notes. I’ve seen quite a few customers go through upgrade cycles from 6.0 or 6.1 all the way to more recent 6.2.x or 6.3.x releases while retaining E1000 vNICs on their controllers. Although the E1000 vNIC adapter is generally pretty stable, there is at least one documented issue where the adapter driver suffers a hang and the controller is no longer able to transmit or receive. This problem is described in VMware KB 2150747. That said, I personally would not wait for a problem to occur and would recommend checking to ensure your controllers are using VMXNET3, and if not, go through the redeployment procedure I’ll outline later in this post. Aside from preventing the E1000 hang problem, you’ll also benefit from the other improvements VMXNET3 has to offer like better offloading and lower CPU utilization. Unfortunately, finding out if your controllers have E1000 or VMXNET3 adapters can be a tad tricky. You’ll find that your controllers are locked down and can’t be edited in the vSphere Web Client or the legacy vSphere Client. As seen above, the ‘Edit Settings’ option is greyed out. The summary page also doesn’t tell us much, so the easiest way to get the adapter type is to check from the ESXi command line. The key setting in the VMX that we are interested in is ethernet0.virtualDev. 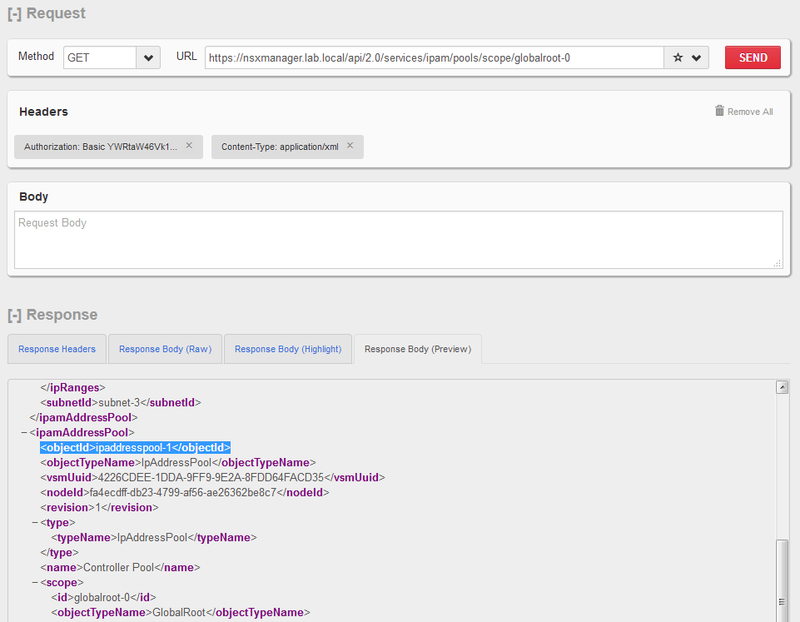 As seen above, the type is vmxnet3 on my controllers as they were created from a freshly deployed 6.2.5 environment. If you see e1000 here, your controllers were deployed from a 6.1.4 or older setup and have never been re-deployed. The second scenario would be if your controllers were initially deployed in a version of NSX prior to 6.2.3. Since 6.2.3 was pulled shortly after release, 6.2.4 would be more relevant starting point. Again, it’s possible you may never run into a problem due to the old partitioning layout, but it’s always wise to take advantage of ‘optional’ resiliency enhancements like this. This is especially true for such a critical component of the NSX control-plane. Essentially, there are now three separate partitions for data instead of just one. Files for everything were just lumped together along with the Linux OS in a single partition previously. If some runaway log files filled the partition, key services would be impacted. By separating everything out, the key controller services like the zookeeper clustering service will still be able to write to disk. I don’t have access to a pre-6.2.3 setup at the moment, but you can tell if your controller still uses the old partitioning layout by the absence of two partitions in the ‘show status output’. Both /dev/mapper/nvp-var and /dev/mapper/nvp-var+cloudnet+data only exist on controllers using the new partitioning layout. Because disk partitioning is a pretty low-level, there was really no way to incorporate this into the automated upgrade process. To get the new layout, you’ll need to delete and re-deploy the controller appliances. 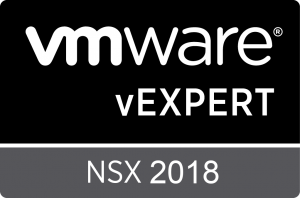 NSX 6.3.3 introduces a major change to the NSX controllers, replacing the underlying Linux OS with VMware’s new distribution dubbed Photon OS. The virtual hardware also changes slightly in 6.3.3 as the Photon OS based controllers require larger VMDK disks. Because this changes the entire foundation of the VM and is mandatory – unlike the vNIC and partitioning changes mentioned earlier – there is no way to perform in-place code upgrades. Each of the controllers needs to be deleted and re-deployed. Thankfully, because of the mandatory nature of this change, VMware modified the upgrade process in 6.3.3 to automatically delete and re-deploy controllers for you. That said, no manual intervention is required when upgrading to 6.3.3. Controllers will be deleted and re-deployed automatically as part of the upgrade process. For more information, see the NSX public docs on the subject. Never just delete or remove the controller appliances from the vCenter inventory. NSX keeps track of the controllers in its database and doesn’t react well to having appliances yanked from under it. They must be deleted properly. Never deploy more than three controllers thinking you can just do a ‘cut over’. I.e. Don’t deploy six controllers and then delete the three old ones. A one to one replacement must be done and we never want fewer than two functional controllers in the cluster, and never more than three. If a controller fails to delete using the normal supported method, there is a reason. Don’t force the deletion without speaking to VMware technical support first. A common reason I’ve seen for this is a mismatched moref identifier for the appliance VM. If the NSX database thinks a controller is vm-73, but the actual VM is vm-75, the delete will fail. Removing controllers from the vCenter Inventory and re-adding them will cause this type of mismatch. It’s very important to validate that the control cluster health is good before proceeding to the next controller for deletion/re-deployment. Do not skip these checks and be patient with this process. Unless you have two fully functional controllers up and running in the cluster, you won’t have full control-plane functionality and a risk data-plane outage. If something goes wrong, you’ll still be okay if you have two controllers working in the cluster. Don’t just proceed in the interest of ‘moving forward’ because there is a good chance the other two will behave similarly. Contact VMware support if there is every any doubt. While trying to delete a controller, you’ll be greeted by a ‘Forcefully Delete’ option. When selected, this option nukes everything related to the controller from the NSX database and NSX doesn’t care whether the VM appliance is successfully removed or not. This option should never used unless advised by VMware support for repairing specific cluster problems. As mentioned in the previous section, if a regular delete fails, there is always a specific reason. Using ‘Forcefully Delete’ to work around these problems can leave remnants behind and potentially cause problems with the cluster. It’s also worth mentioning that the only time you’d need to forcefully delete a controller in a normal workflow is when deleting the last of three controllers. NSX will only delete the very last controller using the force option. Because we’re only removing one at a time, this should not apply here. Again, you won’t need to use this process if you are upgrading to NSX 6.3.3 or later because the deletion and re-creation of appliances is handled in an automated manner. If you’d like to take advantage of a VMXNET3 adapter and/or the new partitioning layout in newer versions of NSX, please read on. The overall goal here is to replace the NSX control cluster members one at a time, keeping in mind that as long as two controller nodes are online and healthy, the control-plane continues to function. In theory, you shouldn’t suffer any kind of control-plane or data-plane outage using this process. **Edit 11/15/2017: As you may be aware, there have been a few new bugs discovered, including one that impacts the deployment/re-deployment of NSX controllers in 6.3.3 and 6.3.4. Please be sure to have a look at my post on the subject as well as the VMware KB before proceeding. If you are running 6.3.3, do not delete your controllers until you’ve implemented the workaround or patched. If you still have the old 6.3.3 upgrade bundle, you may not be able to upgrade. The vSphere Cluster that your controllers will live in. The datastore you want to use for your controllers. The network portgroup (standard or distributed) that your controllers are in. If you used a specific naming convention for your controllers, be sure to note it down. 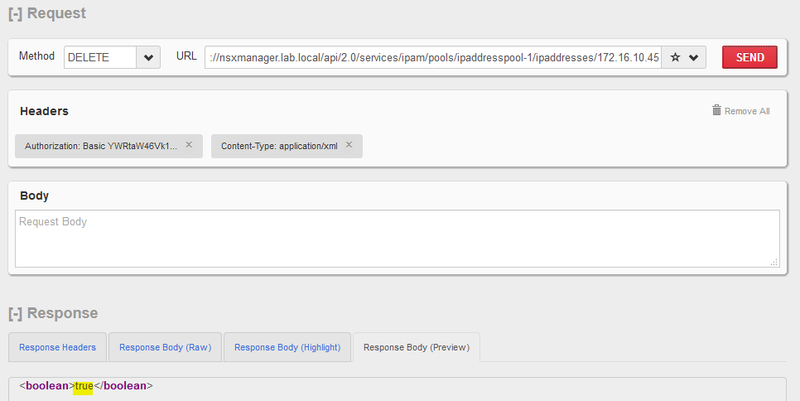 And finally, the IP address pool that’s used for the controllers. Note that when deleting controllers using this method, an IP will be freed up from the pool so even with just three IPs in a pool, this process should work. Be sure to get the above information from the vSphere Web Client before proceeding so that you don’t have to go looking for it during the process. Before you begin the process, it’s very important to ensure you have a functional control cluster with all nodes connected to the cluster majority. As tempting as it may be, do not skip this check. There are several key things you’ll want to validate before proceeding. The Join status must read ‘Join complete’. No other status is acceptable. The Restart status must read ‘This controller can be safely restarted’. Each controller node must have the same ‘Cluster ID’. If all three controllers look good, you can proceed. Once we’ve confirmed the control cluster health is good, we can delete the first controller from the NSX UI. It doesn’t matter which one you do first, but in my example, I’ll start with controller-3 and work my way backwards. To delete, simply select the ‘Management’ tab of the Installation section in the NSX UI and click the little red ‘X’ icon above. As mentioned earlier, we want to use the normal ‘Delete’ option. Do NOT use ‘Forcefully Delete’. NSX will execute several tasks related to the controller VM. First, it will power off the VM appliance, it will then delete it and remove all references of the controller in the database. It’s not unusual for this process to take 10 minutes or longer. Once the controller has disappeared from the NSX ‘Management’ tab, it’s very important to check that the appliance itself was actually deleted from the vCenter inventory. Check for both the successful power off and deletion tasks in the recent tasks pane and also confirm the VM is no longer present in the inventory. Finally, we’ll want to check the cluster health from the other two surviving nodes using the same show control-cluster status command we used earlier. Ensure that both controllers look healthy. As seen above, my control cluster confirms only two members. Step 4 – Replace the Deleted Controller. Once the first controller has been deleted successfully and we’ve confirmed the health of the control cluster, we can go ahead and deploy a new one. The process should be very straight forward and is the same as what was done during the initial deployment of NSX. Keep in mind that the name you specify is simply a label and that the moref identifier of the new controller will change. As seen above, my new controller is online and healthy. 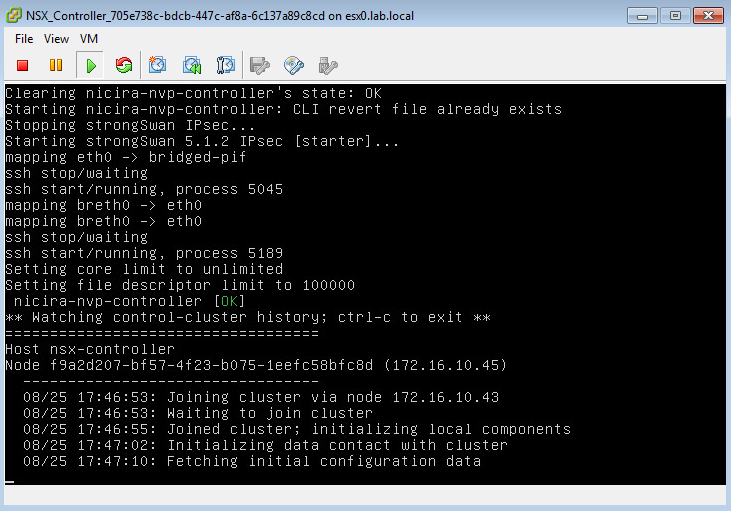 Most importantly it agrees with the other two controllers on the ID of the cluster and number of startup nodes. You could also do a ‘show status’ on the controller to confirm that it has the new partitioning layout at this time as discussed earlier. Step 5 – Rinse and Repeat. It’s extremely important to verify the cluster health before proceeding with the deletion of the next cluster node. Aside from the checks in the previous section, this would also be a good time to do some basic connectivity tests. Make sure your distributed routers are functional and that your guests connected to logical switches are working normally. If you delete the next controller while the cluster is in a bad state, there is a good chance you’ll be down to a single node and will be operating in a ‘read-only’ state. In this condition, any VTEP, ARP or MAC table changes in the environment – like those triggered by vMotions, etc – would fail to propagate. This is definitely not a situation you’d want to be in. Once you are sure it’s safe to proceed, simply repeat steps 3 and 4 above for the remaining two controllers. So there you have it. The process can be a bit of a nail-biting experience in a production environment, but if you take the appropriate precautions everything should work without a hitch. The reward for your patience will be a more resilient control cluster with virtual hardware configured as VMware intended. Thanks for reading! If you have any questions, please feel free to post below.